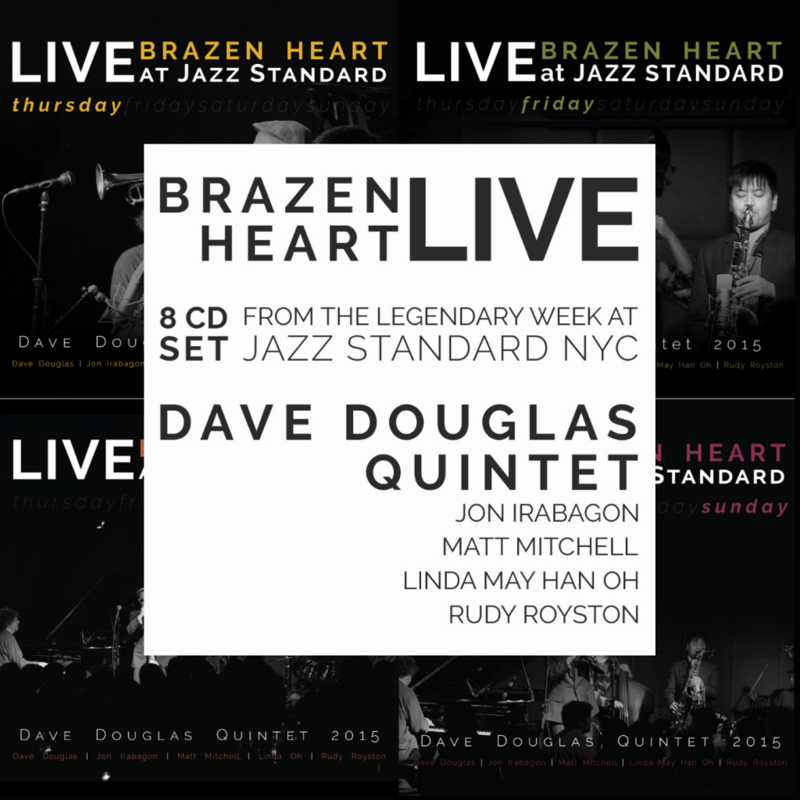 It’s release day for Brazen Heart Live at Jazz Standard, the complete set of music by the Dave Douglas Quintet. Originally recorded in November 2015 and released digitally on Bandcamp only a week later, all of this music – 4 nights, 8 sets, 8 CDs, 48 tracks – is now available on CD for the first time! Featuring Douglas’ long-time band that includes saxophonist Jon Irabagon, pianist Matt Mitchell, bassist Linda May Han Oh, and drummer Rudy Royston, these recordings include repertoire from the band’s three studio recordings Be Still, Time Travel, and Brazen Heart. Whether you prefer the complete box set (8 CDs) or the individual nights (Thursday, Friday, Saturday and Sunday), we hope you add this music to your collection. The Saturday recording is the only one currently offered digitally (on Spotify, iTunes, etc.) but the entire digital collection is available exclusively in our store.